FRIDAY, FRIDAY, FRIDAY! Insane Stadium Super Trucks Live On Your PC! 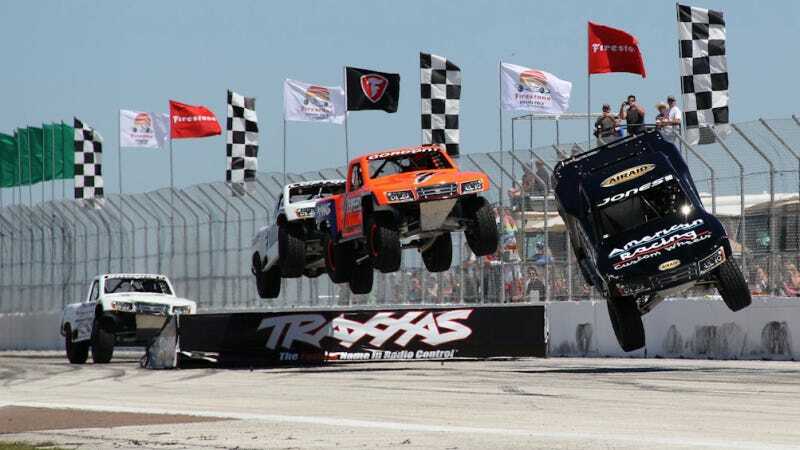 The laughably wacky and righteously entertaining Stadium Super Trucks are racing at Indy today at 3:10 PM EST, and you'll be able to watch it for free right here. See Robby Gordon and friends hit jumps, powerslide, and ram into each other on the official Stadium Super Trucks live stream page for today's Indy race. Image: Stadium Super Trucks, and thanks to Automatch Tom for the headline!